Our clients include significant domestic and foreign public and family-owned companies of various market sectors, sizes and legal forms. We provide our structuring consultancy services to listed companies as well as privately-owned midsize companies while our main emphasis is on the provision of advice to predominately owner-managed medium-sized companies and their shareholders. Our consultancy expertise ranges from producing industry and commerce to the service industry. As transaction consultants we will provide our services to financial and strategic investors on seller’s and purchaser’s side. Due to this widespread scope of action and resulting experience we will easily anticipate the negotiating position of the respective opposite party, thereby being able to provide advice with regard to negotiation strategy. 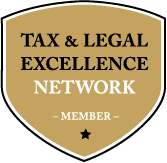 Our clients further include wealthy private individuals who require a maximum of highly qualified individual legal and tax advice for their entrepreneurial activities and shareholdings and/or their varied domestic and foreign activities. Please turn to our References for a selection of projects from our project range.